Long term readers of this blog will know that I have a Bucket List. A bucket list that is progressively getting shorter and shorter. Well today I have added a new item – BASE Jump. BASE jumping is effectively a jump / skydive from a BASE (Buildings Antennas, Spans (bridges), Earth (Cliffs etc.) What I want to jump of is yet to be decided, but after skydiving a few years back I need a new adrenaline rush. Something worth the adrenaline rush though! 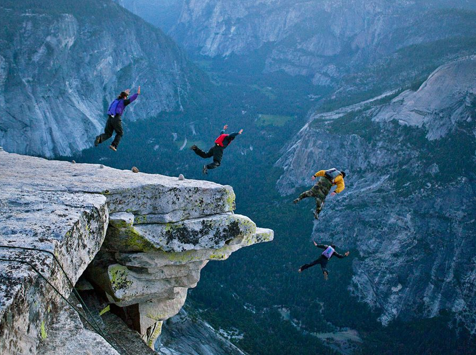 Yeah, I’d do this, provided there’s no minimum jump requirement (from a plane) before I’m allowed to BASE jump. Last year, I decided that I really needed to add wingsuit flying to my bucket list (then cross it off as soon as possible; video: http://youtu.be/TWfph3iNC-k ), but this was before finding that I’d have to do hundreds of standard jumps before they’d even let me start training. I think going base jumping with a squirrel suit would be really cool. You can’t get much close to flying than that. But…I wouldn’t never do it because that is crazy and extremely scary. But I can watch the videos! Oh my goodness. I’m pretty sure I will never do this in my life…but I sure admire those who will!